I am trying to make a circuit using Nodemcu ESP8266 to control the speed and direction of 3 DC servo motors, however I am short of analog pins. So are there any ways to increase the number of analog pins? Or are there other WiFi modules like the ESP8266, but with more number of analog pins? How many PWMs do you need? Here you can find a useful description about PWMs on ESP8266 NodeMCU. 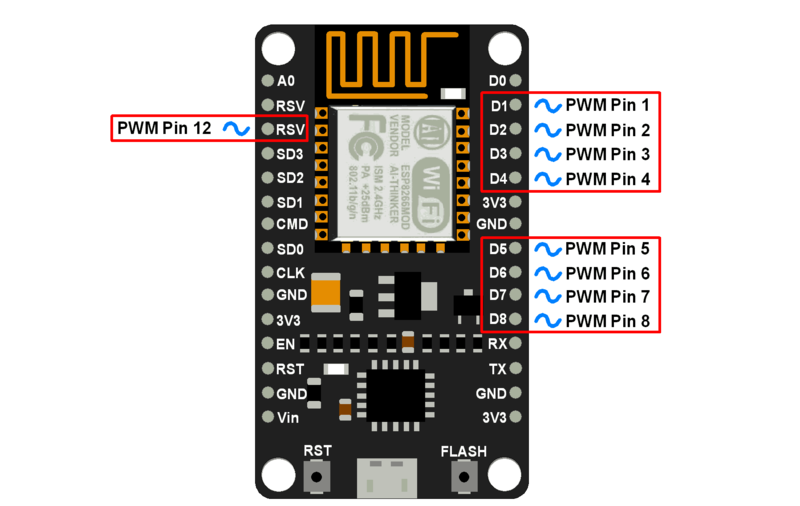 According to image, ESP8266 NodeMcu has 9 PWMs pin. Is not it possible to use more than 3 output pins in ESP8266 at the same time?